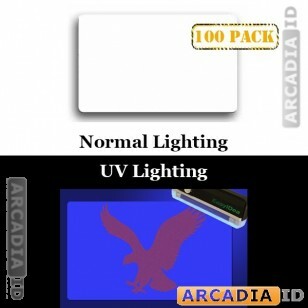 Order packs of 100 overlays for your ID cards and provide extra security for your organization. These overlays show a holographic eagle when held under UV light which makes them hard to copy and impresses new visitors. For the full range of high quality photo ID card supplies at amazing prices be sure to browse our site. Rapid delivery on every order.